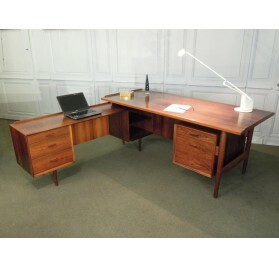 Large executive desk made of Rio rosewood with its left sideboard.Danish design by Arne Vodder for Sibast Møbler around 1960. Flea market There are 12 products. 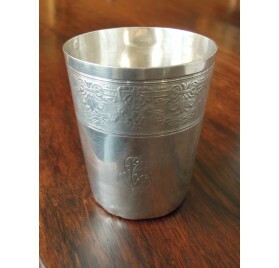 All our flea market style items at small price. 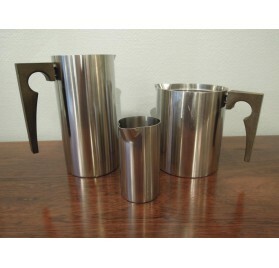 Set consisting of a jug, a carafe and a creamer stainless steel.Cylinda-line model by Arne Jacobsen for Stelton. 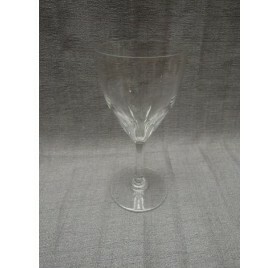 Baccarat crystal.Red wine crystal glass, model Genova. 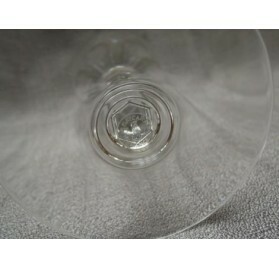 Baccarat crystal.Large crystal water glass, model Genova. 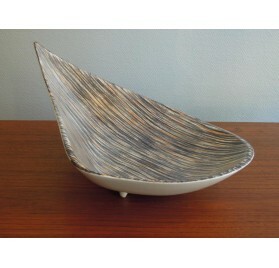 Modernist ceramic tray or fruit bowl.Work of the 50s or 60s. 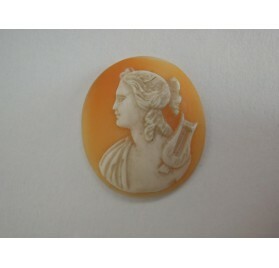 Cameo probably Art Nouveau period. Possible representation of Apollo. 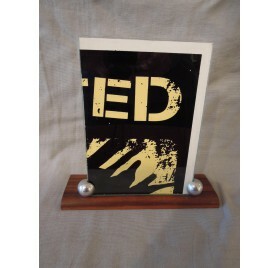 Photo holder in rosewood and chrome-plated metal.Art deco work. 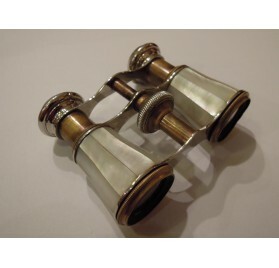 Mother-of-pearl theater binoculars.Manufactured in early XXth century. 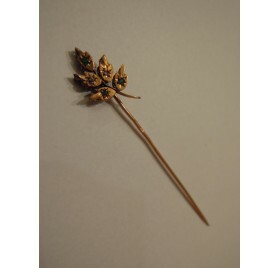 Hat pin in gold and emeralds. Hat pin in gold and emeralds.Eagle head hallmark. 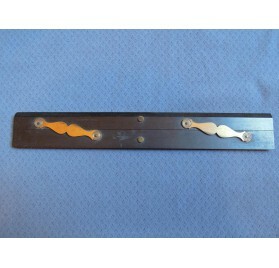 English marine ruler, in ebony and brass.Work of the nineteenth century. 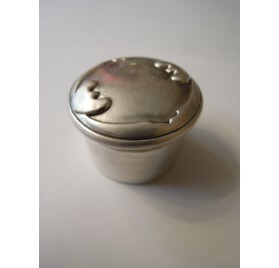 Sterling silver timbal by Boulenger.Monogram, Art Nouveau era. 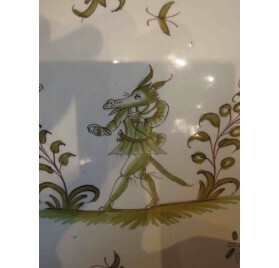 Moustiers earthenware plate #2.Decor grotesque.Work of the eighteenth century. Perfect condition.